The best team building scavenger hunt event in the country! Custom designed for your group. The fun will begin days before the race even starts! 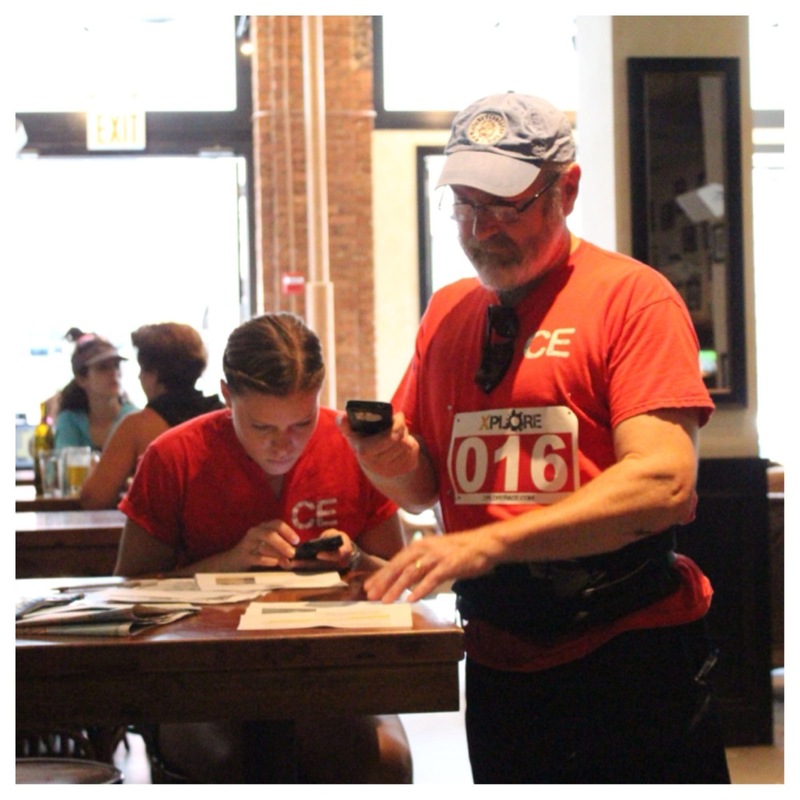 Registered teams will be sent clues to help them figure out the race day "Access" (a location in the city that will get you access to all of the race checkpoints). Start your team from anywhere you think has the best advantage, such as at a transit stop, in your hotel room with maps laid out, or on the corner ready to run! In our mobile app just before the race, teams will be posting fun pictures of themselves getting ready to start from around the city. Solve custom-designed clues about race checkpoints to figure out the locations your team has to get to. Clues challenge your team via puzzles, multi-media, local knowledge and everything in between. Travel with your team to the checkpoints on foot or use public transit. You'll visit hidden corners of the city, discover historic treasures, and gain appreciation for the unique beauty in the urban landscape. Much like a one-day version of The Amazing Race, being savvy traveling around the city, and working together to find each location, will get your team ahead of the competition. As a team, complete the challenges at the checkpoints or any that are on-the-go, and decide which one will be your 1 designated skip. The challenges will vary by city but are often wild, fun, and memorable, and will likely incorporate the urban landscape, local businesses, creative technology, and your team's keen abilities. Challenges are often very social, so you'll find yourself interacting with locals or even other teams throughout the race. Bring some extra clothing for after the race because our racers tend to get wet, dirty, or covered in something sticky at some point along the way! After each checkpoint or challenge, submit the picture or video to our race headquarters and it will be verified in real-time. The top 3 teams to finish the required number of checkpoints or challenges will win prizes, and the top 25 teams will receive points towards a season-long leaderboard and growing cash prize. Click HERE for more details on the only leaderboard in Urban Adventure Racing. Once finished, teams meet up at the designated after-race venue (often a brewery, restaurant or sports bar) to hang out with other teams, talk strategy, and take advantage of food and drink specials for racers. This is a great chance to meet other fun urban adventure racers, and start planning your team's next race! Join our mailing list to receive exclusive information on Urban Adventure Racing, health tips, gear reviews, and what we're coming up with next!